Skeberis S.A. is active in the area of trade and distribution of chemicals and raw materials. Skeberis S.A. activities are also covered by a large part by the production of compounds and masterbatches and other intermediate plastic products. The company was founded in 1993 and evolved to its current legal form in 2000. In 2006 Skeberis S.A. became the Sole Distributor for Lyondell Basell Polyolefins for Greece and distributor for Albania, F.Y.R. of Macedonia and Kosovo. Also, in 2015, Skeberis S.A. became distributor of Lyondell Basell Polyolefins for Serbia, Bulgaria and Romania, as well as for Italy for Wire & Cable grades. Also Skeberis S.A. is active in the distribution of PVC from Mitsui and Shinetsu, and additives from Kaneka. The range of the activities is enhanced by the creation of a new plant for the production of masterbatches (black, white and colored), compounds and filled masterbatches. Since 2014 Skeberis S.A. is the distributor of SABIC Innovative Plastics for Greece, Cyprus, F.Y.R.O.M. and Albania. The center of Skeberis S.A. activities is located in its proprietary facilities in the Industrial Area of Thessaloniki (Sindos), an area of 25.600 square meters and a warehouse of 10,000 square meters. The center of operations of Skeberis S.A. is located near the Thessaloniki harbor and near the automotive and railway axis and consequently near the developing markets of the Balkans. 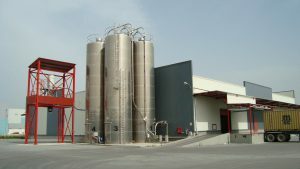 The site of Skeberis S.A. is equipped with a full packaging line and silo tanks. The capacity of the site is 25MT/hour. Bulk, octabins and big bags can be handled inbound and outbound. The whole site is operating under bonded warehouse status (either for our usage or on behalf of third parties). Our colleagues have been cooperating with many multinational companies, and they are familiar with procedures on safety precautions and other measures. Also Skeberis S.A. is operating a warehouse in Aspropyrgos (Athens) for customers in Southern Greece, and warehouses in Skopje (F.Y.R.O.M. ), Belgrade (Serbia) and Istanbul (Turkey). The network of the daughter companies can provide a strong value of development in new fast expanding markets. Aspropyrgos site is situated in a 10.000 square meters plot and has 4000 square meters covered. The warehouse is in Thriasio, near the new multimodal site of OSE and very close to the Ikonion port of Piraeus. Skeberis S.A. has been accredited with ISO 9001 for the activities trade and distribution of raw materials for plastics; production and design of plastics compounds and recycling of plastic packagings. Also, Skeberis S.A. has been accredited under SQAS. The goal of Skeberis S.A. is and always remains the effective distribution of raw materials and plastic to the corresponding industries. 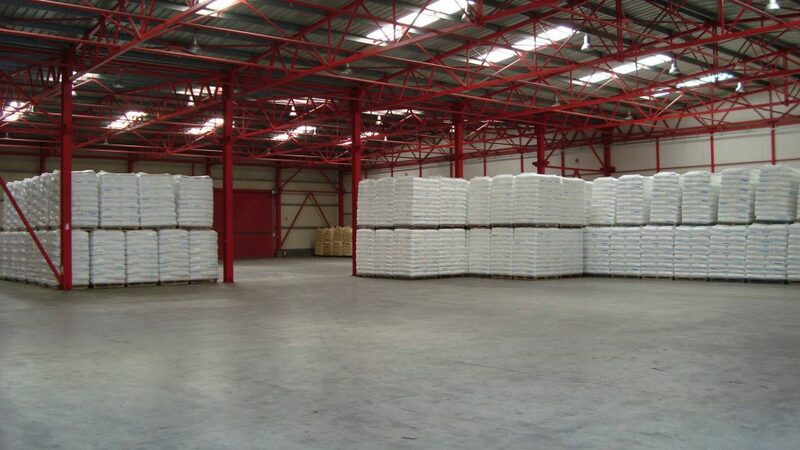 With the utilization of the stock of the materials in our storage facilities we can guarantee the prompt distribution of high quality materials on time and corresponding with the needs of our customers both in quantity as well as the range of available materials.